As you remember, recently the immortal classic of table No. 1, I recognized the game of Carcassonne. This will nastolko me a flirt lately to gain valuable skill cool player=) Is a little frustrating that it is very much the final count to decide miple, lying in the field… But today I’m not going to tell you again about Carcassonne, and it is better to talk about another game, which is often mentioned in conjunction with him, namely Settlers of Catan. 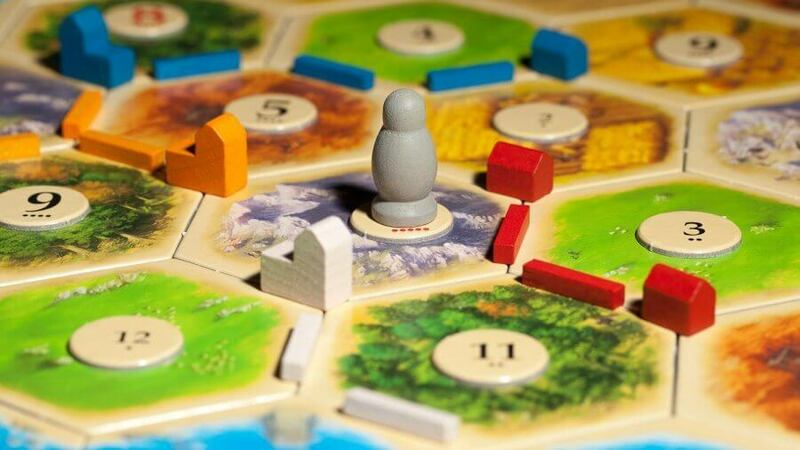 Very often, when asked where it is best to start playing Board games, answer that the best Carcassonne and Settlers of Catan nothing (well, almost nothing). I have already told you about the first game, so let’s take a closer look at the second Great game. Expansion sets add to the basic game. Some say it depends too much on luck. 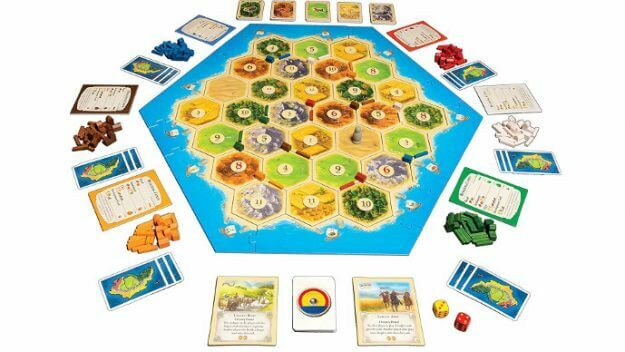 Board game the Settlers of Catan appeared back in 1995. Came up with her German dentist Klaus Teuber. 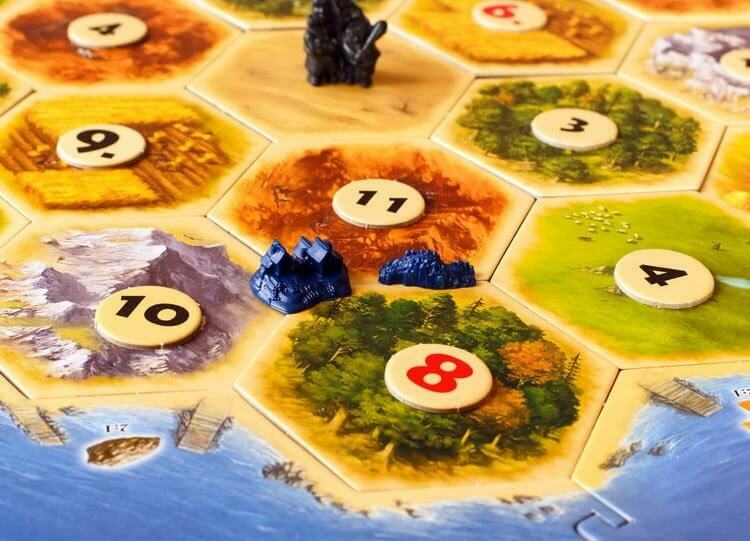 Catan – not the first game of Toiber, but it brought the author worldwide fame. The game has collected many desktop awards and has sold over 22 million copies worldwide. I just can’t imagine this wild figure! 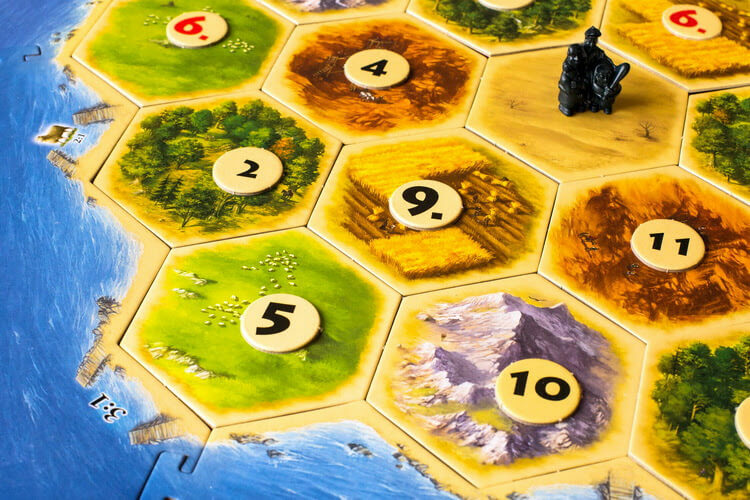 The Settlers of Catan are unique primarily because they are associated with the worldwide spread of the term “German Board game” or simply “eurogame”. Not necessarily these games are invented by the Germans, but they differ from other games economic model with resource management, thematics, social function, low role of chance, the lack of elimination of players from the game and often language independence. Of course, we can not say that the Catan were the progenitor of the genre of German nastolok, but it is this game that made eurogames popular around the world. 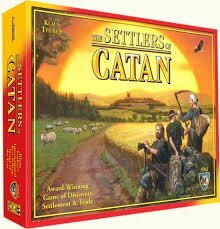 Therefore, because of all these facts Settlers of Catan can be considered a mastodon from the world of Board games. In my collection, Settlers of Catan is the updated (most recent) version of the game with new arts. The game looks bright, fresh and modern. Personally, I think the picture from the game box is one of the best and memorable pictures of Board games. After opening the box, you will find a stack of cardboard sheets from which to squeeze out the counters fields, frame, sea, memo, and the license tokens. Under the sheets you will find a deck of cards, 2 bags with plastic figures and cubes, as well as 2 books of rules. The quality of the game special complaints I have no. The only thing, it seemed to me that whether the sea frame is small, whether hexes are too big, but the field is going very, very end-to-end. If it was possible to reduce the size of hexes a little bit, it would be cool. The plot of the game is that we get to the uninhabited island of Katan, where we have to explore the territory, to extract raw materials, to pave roads, to build cities, to fight the robbers and to trade. The main “actor” of the game — a large playing field, which is collected from hexes of land and sea frames. The island of Katan is divided into 19 pieces, each of which is a landscape — pasture, forest, arable land, hill, mountains. In the center of the island is a small desert. In each new game, the field will be formed randomly, which increases the replayability of the game. For each hex during the preparation of the game is placed a token with a number that is needed in order for players to receive resources from the land. Each player starts the game with two settlements and two roads. Figures of settlements are placed on the tops of hexes, and roads — on the edges. Each settlement is worth 1 victory point. To win the game, just dial 10. How to dial? Now tell. The main occupation in the game is construction. Players build roads, settlements and cities. Roads do not bring points, but by building the longest road, you can get 2. Settlements, as I already noted, give 1 ON. City — 2. To build something, you need to spend resources. Resources are extracted very simply-at the beginning of his turn, the player throws 2 dice, than determines which hexes will work and bring income (their number is the same as the number that fell on the dice). All players, whose settlements or cities border with activated hexa, get one (if the settlement worked) or two (if the city worked) resources. The forest provides timber, pastures wool, arable land and grain, hills, clay, ore. When a player needs to get a resource, he just takes the card with the corresponding resource in his hand. It is worth noting that the players do not see what resources are their rivals. If during the throw of dice you can throw the number 7, it means that you have activated the robbers (figures 7 to hex landscape no). Robbers force all players who have more than seven cards on their hand to discard half of the cards in reserve. Next, the active player rearranges the figure of robbers on any hex, after which the player can pull one card of raw materials from the hand of another player, whose settlement or city borders on the hex. where are the robbers. Then if Gex works, which are the robbers, he brings resources to one or more players. The phase of obtaining resources is called the phase of collecting raw materials. The next phase is trading. Sometimes players do not have enough of some specific resources, but there is a surplus of another resource. For such situations, a great opportunity to bargain. You can make trades or with a reserve. or with players. Bargaining with a reserve is simple — any resource can be obtained by dropping 4 cards of another resource (but only one!). If you build settlements in the Harbor, you can access a more favorable exchange rate (3:1 or even 2:1). But the most interesting thing to bargain with other players. The exchange can only be made by an active player, other players can not trade with each other. An active player declares that he is ready to exchange one and wants another. For example, I change sheep for wood. Players agree with each other on what rate they are ready to make the exchange (1:1, 2:1, 3:1 etc.). After trading, the player moves to the third phase — the construction phase. For example, you can build a road (clay+wood). The road is laid on the paths between the hexa. The road should be adjacent to your other road or to your settlement or city. It is impossible to lay roads from others constructions. When a player lays out the fifth road in one chain, he can take a special card that brings 2 victory points. This card can be picked up by another player only if he builds a chain of 6 roads. Further, from the 7, 8, 9, etc. Settlement is worth timber+clay+wool+grain. You can build it at the intersection, which is adjacent to the road of the player, with the condition that at neighboring intersections there are no settlements or cities. The settlement can be rebuilt into a city. To do this, you need to pay 3 ores and 2 grains. 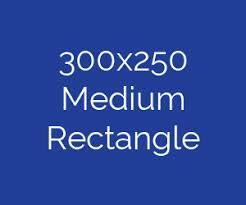 Instead of any figure of the settlement is placed figure of the city. The city brings 2 and in case of activation of the hex gives 2 resource. The player may also in the construction phase to acquire the development, which is ore+wool+grain. Development cards are the only cards that lie face down. In these cards knights can get caught (move figures of the robber on the field and bring 2 ON if the player has more knights, than at other players, beginning from 3), breakthroughs (cards with special conditions) and victorious points (they can be kept closed that rivals didn’t know, on how many you are close to a victory). As soon as a player gains 10 or more winning points, he is declared the winner. Is the classic so good? Many years ago I treated everything old rather badly. The old music did not cause emotions, the films seemed funny, and the only thing that did not suit me was art. And then one day I listened to an album by the Smiths, which was recorded in 1984, and realized how wrong I was, because this album, like music, was eternal. So I came to the conclusion that the old — it does not mean bad. How to treat the games that came out a long time ago, and in the yard for the 21st century and new games one another more beautiful? 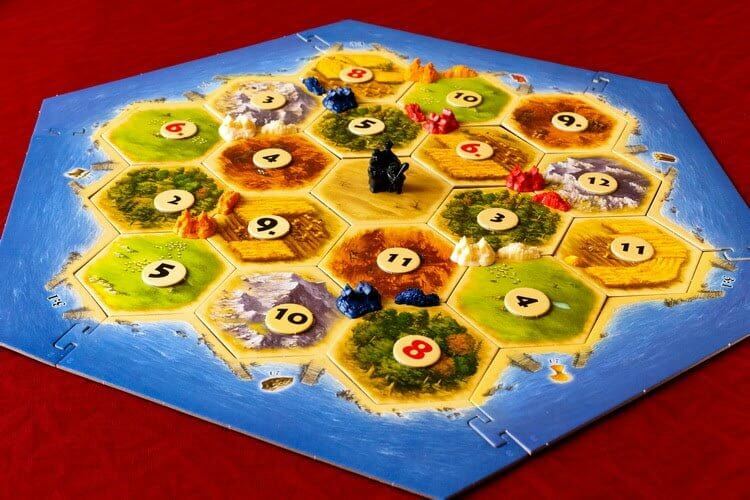 Of course, you can arbitrarily long to admire and praise conditional Scythe, but it is worth noting that the old Catan tries hard to keep up with modern games. Take at least the appearance of the game. A wonderful box, good components, a bright field-I would never say that Katana is 22 years old. Designers-designers are making every effort to ensure that the Katan did not lag behind the modern beautiful nastolok, and the last redesign went strongly to the benefit of the game. When I was unpacking will nastolko, I have not even thought in my head was not that the game is old. In my opinion, the katana is 1 thing that gives it age. Feature of many games from the 90’s and 00 partially-ies is the high role of chance. At that time, positivenote was not a benefit to the game. That is why in the old games you can often find cubes and randomly come into the hand of cards or tiles on which the main gameplay is built. It is now fashionable to scold the game for random, because the victory because of the banal luck is not considered a worthy victory. And before this was a buzz that all the players are equal before the fortune. Of course, you partially calculate your actions and hope that your plans will be implemented, but this will happen only under certain circumstances. In the katana To get resources, players roll the dice. It is the hexagons that will tell you whether you get the resources or not. If you get-will be able to bargain and engage in construction. If you don’t get — can’t make you wait when finally you get lucky. In modern Board games from this try to get rid of in the early stages of game development. Even if the player is unlucky with the dice, he should be able to do something useful in his turn. In the Katana in your turn, all players except you can get resources, and you have to pass sadly and pass the course to another player. But it is not for nothing that the Settlers of Catans call gateway. If someone does not understand this term, I will explain that gateway is a game with which it is good to start getting acquainted with Board games. In my opinion, Catan is perfectly located for both business nastolki. Why? It is for the same reason, the high role of chance. For a beginner, it is very bad when he, not knowing all the subtleties of the game, can not perform the most effective actions, because of what he has to play the role of a laggard. A beginner in the Katana is enough to know that the initial placement on the field is very important for maximum profit. The most common drop-down numbers on the dice are the numbers 6 and 8. They’re even marked red, so that the players paid any attention to the hexes with these numbers. The task of the player-profitable to part at the start and then build roads and settlements so as to gain access to the new “delicious” hex. Agree, this is a clear and simple strategy for a beginner. If a player correctly takes the place of everything else for him will make a fortune. What you need to do in this game for maximum comfort? In preparation of the game to put their settlement at the junction of the 3 lands. And it is desirable that at least one hex was with 6-or 8 coy-coy. You also need to try to get access to all five resources or to a resource that will be missed in the game (for example, the resource has access to only one player out of four). But even if the theory of probability 6 and 8 fall on two dice more often, sometimes it turns out that for the whole game these numbers fall least=) So do not assume that the king will be the one who will take place near the “trump” hexes. Due to high randomness of dice in the Settlers of Catan can be played by people of all ages and any level of education. Children, adults, grandparents-anyone. The game has very little text. Even if it is on the map, even without reading what is written there, you can guess what the map gives. Klaus Toiber tried to make the game as clear as possible. Well, we’ve dealt with what reveals his age in the Katana. But I want to focus on one very interesting point, which is in this game and which made it truly unique for its time. That’s her sociality. Namely trade. Klaus Toiber in his game allowed players not blindly to follow written rules, and create their rules and offer their conditions. You have a lot of grain? Yes, you can sell it to the Bank, but you can offer the grain to other players. And this is such a game in the game, because the players are suddenly distracted from the hexes on the field and begin to debate about the auction. For the game of ‘ 95, it was a big step forward, because the game has acquired a social connotation. Players do not just automatically take resources from the stacks and change them to figures, which are then placed on the field, and they communicate, argue, trade, joke. Now you buy 1 wool for 3 clay, and then change 1 clay on 2 timber. And it’s not written in the rules! You are the masters of your game. In the Settlers of Catan difficult to play with those who love miscalculation. This game can be cruel to you for several rounds, during which you can not do anything worthwhile. So I always, when I play this game, just try to relax and enjoy the bright colors of the game and throwing dice. Almost any construction of a new element on the playing field leads to winning points. You start with two points in your pocket, and all other actions will only increase their number. It is simply impossible to reduce them. Only forward! Over time, the game does not become faded. It is bright, juicy and attractive in appearance. Excellent design is a definite plus of the game. Of course, such a popular game, which was a Katan, could not do without all sorts of additions and alternative versions. At the moment, the base game you can buy a lot of different additional boxes, many of which are available in Russian. Expansion for 5-6 players – the name speaks for itself. Merchants and barbarians (+ a separate expansion for 5-6 players) — in this add-on you will find 5 large-scale scenarios in which the population of the island of Katan will develop a network of roads and settlements, trade with the Bedouins of deserts and fend off the daring barbarians. Hexes new location and additions to the rules and all the plastic components. Sailors (+a separate expansion for 5-6 players) — in this addition, you need to build ships and produce new raw materials — gold. Also in the box there are 9 new scenarios-adventure. Cities and knights (+separate expansion for 5-6 players) — in this special stage barbarians RAID cities and settlements. Players have to hire knights who will repel the raids of barbarians. Also in this game you can build new cultural and commercial buildings. Catan. Europe-an independent game in which instead of the island of Katan players will be able to populate the territory of Europe. Catan. America-an independent game in which you can populate North America. Pioneers and Pirates-expansion, which has 5 new scenarios, full of sea travel, trade and battles with pirates. Princes katana-gorgeous duel independent game, which I have already made a review earlier. 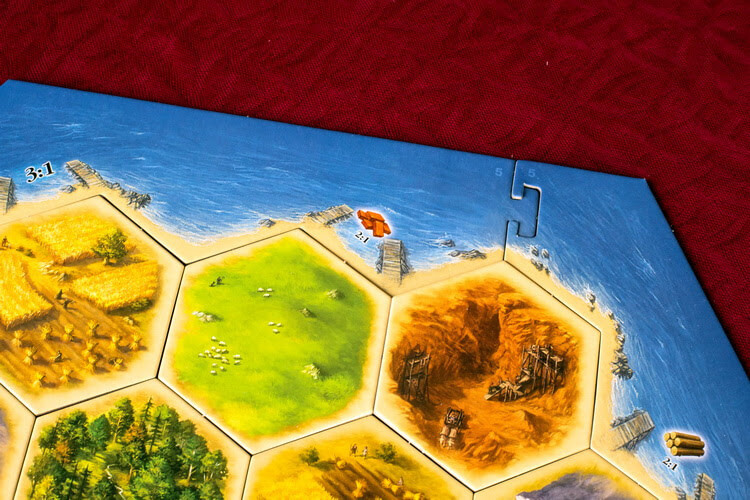 Catan Junior is a game for young players. Catan do not spoil the place in the collection of this desktop. This is a good classic, which is sometimes nice to play experienced boarders and which is sure to play with those who want to get acquainted with Board games. Over time, the game can get bored, you will have new favorite Board games that are more complex and interesting, but the classics of the genre from this will not be worse. And it is always nice to periodically return to once again the fastest to populate the wonderful island of Katan, which attracts all the boarders for more than 20 years. Lead technology analyst, Alex Anderson, has reviewed hundreds of smartphones, tablets and other gadgets in more than 10 years. He a journalist, software trainer, and sometime Web developer. Alex writes news stories, columns, and reviews for us and other technology sites and publications.